In this week CryENGINE 3 promotion week on CryENGINE3 Developers Group we take a look at ArcheAge a MMORPG that is being developed on the CryENGINE 2 and 3. Thats the reason I'm posting it on both CryENGINE 2 and CryENGINE 3 Developer group. According to the developers it won't be a CryENGINE 3 game until the following beta stage planned in November 2011. ArcheAge a MMORPG has been in development for three years by Korean developer XL Games. With a budget of around $ 50-60 million dollars. They started the development with CryENGINE 2 but they have recently started to adept certain parts with CryENGINE 3. For the moment the graphical work has yet to be applied for CryENGINE 3, so far they applied the physical engine and animation from CryENGINE 3. 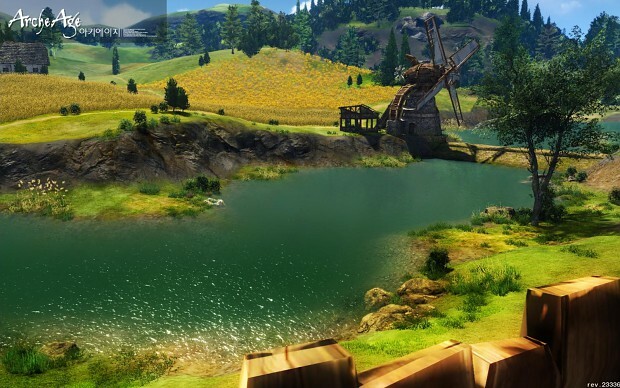 You can view more ArcheAge level design videos in our video section here. All that we know about ArcheAge. Thats it for CryENGINE3 Development Group promotion week nr. 3. Next week more CryENGINE3 upcoming game news. Thank you for reading. And dont forget to join CryENGINE3 Development Group. update week 4 is out now. looks great, might try it. I've stopped playing MMO's for awhile, but I'm a Cryengine fan and might try this.